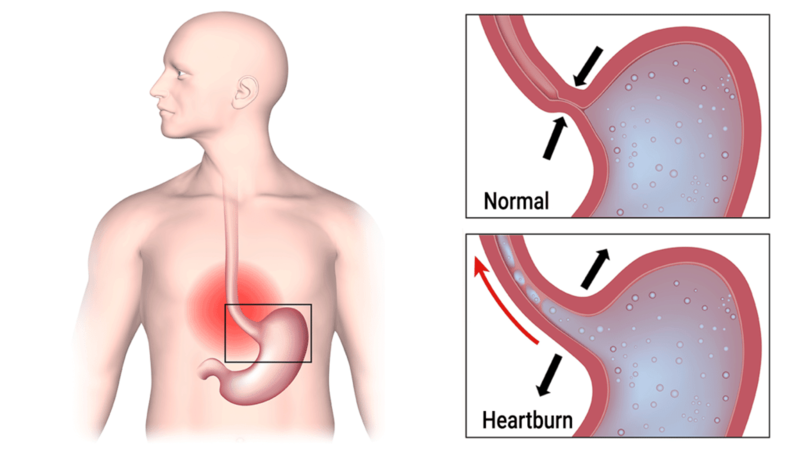 Heartburn is a relatively common problem caused by acid reflux – a condition where stomach contents (foods, liquids, etc.) are forced upward into the esophagus. According to estimates by the American College of Gastroenterology, around 15 millions Americans suffer from daily heartburn. These individuals may also suffer from Gastroesophageal reflux disease, or ‘GERD.’ GERD is diagnosed if an individual reports experiencing acid reflux more than twice per week. 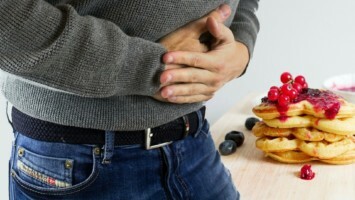 – Causes of heartburn include smoking, obesity, lack of exercise, poor diet, and certain underlying medical conditions. – The primary symptom is a burning sensation in the chest or throat from stomach acid. 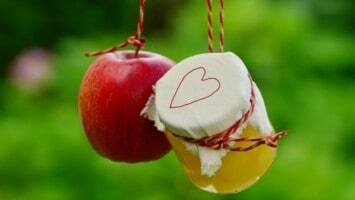 – Most commonly, heartburn has little influence on overall health. Medical experts consider occasional heartburn to be natural and not a cause for concern. As mentioned, the most common symptom is a burning sensation in the upper chest and throat. These sensations are attributable to the presence of stomach acid. Other reported symptoms: jaw pain, abdominal discomfort and burning, and acid-like taste in the mouth. Straight up, baking soda is a miracle product. One of its uses – actually, its main use – is as an antacid! Baking soda made up of 100 percent sodium bicarbonate; a slightly salty tasting, alkaline white powder. Baking soda relieves heartburn, acid indigestion, and sour stomach by counteracting excess stomach acid. How to: Dissolve 1/2 teaspoon into a 4-ounce glass of water, or a full teaspoon in one 8-ounce glass. Repeat every two hours until heartburn is gone. Bananas have a high pH level, which is vital to restoring gastric acidity to its natural state. A banana’s texture is also great for relieving discomfort of the esophagus, according to gastroenterologist Gerard E. Mullin, MD. How to: If you’re not a big fan of ‘nanas by themselves, slice half of a banana and add it to your morning oatmeal or cereal. You can also slice a banana and add a pinch of cinnamon powder and sugar (a pinch!). Ginger is one of the best-known natural stomach soothers around. Ginger has a few benefits concerning acid reflux; its anti-inflammatory properties are especially helpful. Inflammation of the esophagus is a key symptom of those with acid reflux troubles. How to: Ginger is quite a versatile food; it can be diced, peeled, shaved, or sliced. 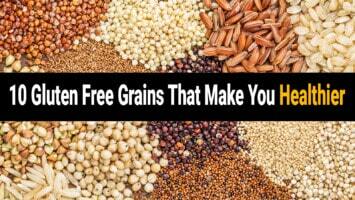 It can be eaten raw or added as an ingredient for salad, soup, sushi, and other foods. 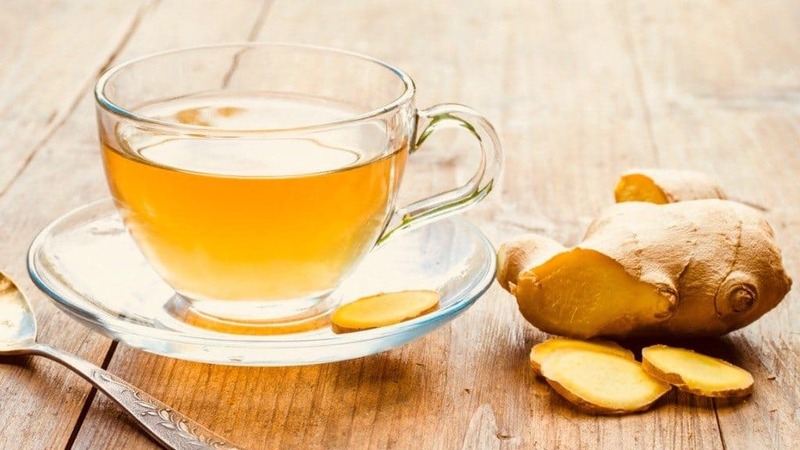 Perhaps the best way to enjoy ginger when it comes to heartburn is steeping it in water to make ginger tea. Here’s a simple ginger tea recipe. While this advice may sound a bit strange, chewing gum stimulates saliva production – a natural acid buffer. Besides producing saliva, chewing gum often makes us swallow more often and pushes acids back out of the esophagus. How to: Well, there’s not much to popping a piece of gum into your mouth and chewing. A couple pieces of advice, however: choose sugar-free gum and avoid peppermint-flavored gum. Also, don’t swallow gum as it may irritate the lining of your stomach. Per WebMD, the following herbs have demonstrated some heartburn-relieving properties: dandelion root, elm bark powder/slippery elm, euonymous bark, holy thistle herb, ginger rhizome, gentian root, meadowsweet herb, myrrh resin, lemon balm leaf, valerian root, southern prickly ash berries, oat seed. How to: Nowadays, most herbs are sold as supplements or as standalone items. On this note, some supplements are thought to interact with certain prescription medications, so be sure to check with your doctor. The same applies if you have an underlying medical condition. – limit and monitor potential ‘trigger foods,’ including: alcohol, caffeine, citrus fruits, milk and dairy products, soft drinks, carbonated juices, tomatoes.